As Amazon’s deadline for bids on where to build its second headquarters approaches, developers are offering up derelict malls as potential sites. Real estate developers in Phoenix, Detroit, Dallas and Washington D.C. among others are offering up their vacant complexes to the company that orchestrated the downfall of their brick-and-mortar tenants, according to the Chicago Tribune. 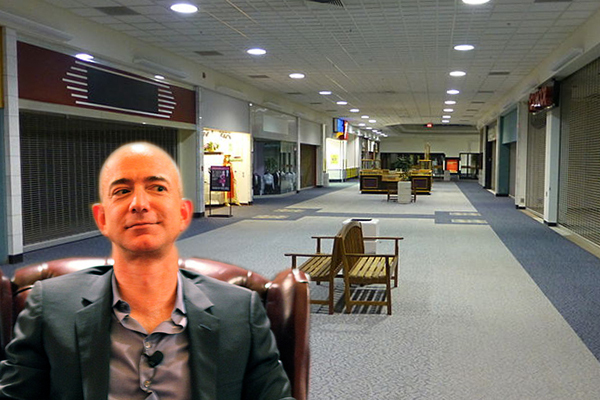 Pittsburgh’s Parkway Center Mall is exhibit A for the nationwide trend with the owner, Kossman Development, changing up their new plans to rebuild the former mall to suit the needs of Amazon. The old mall’s 35-acre site would become a 5.4 million-square-foot office space surrounded by bike paths and green spaces with 680,000 square feet of retail spread throughout the would-be office campus. The developer’s president Curtis Kossman submitted the revised plans to the Pittsburgh committee handling the Amazon bid last week.